Watch Out NYC! Evil Shenanigans is Comin’! 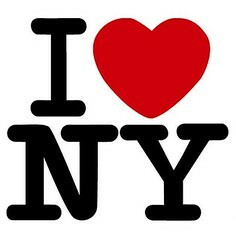 Home » Featured Articles » Watch Out NYC! Evil Shenanigans is Comin’! Big news kids!! I am going to New York City! I was selected, along with 14 other FoodBuzz Featured Publishers, to attend a special event in New York City sponsored by Electrolux to help raise awareness of ovarian cancer for The Ovarian Cancer Research Fund! We also get to meet Kelly Ripa and have a special cake decorating class with a pastry chef!! I am flattered and honored to be participating in this event and helping support such a wonderful cause! Ovairan cancer is insidious. Did you know that ovarian cancer is the 5th leading cause of cancer death in women? Did you know it is the leading cause of reproductive cancer deaths? Because ovarian cancer is so difficult to diagnose most women are diagnosed once the cancer has spread, and only 45% of those women survive longer than 5 years. Help us in the fight against ovarian cancer by donating here. Your donation will help fund research into new, more effective, ways to screen for this disease, and one day find a cure! Here are the other bloggers who will be joining me in New York City!